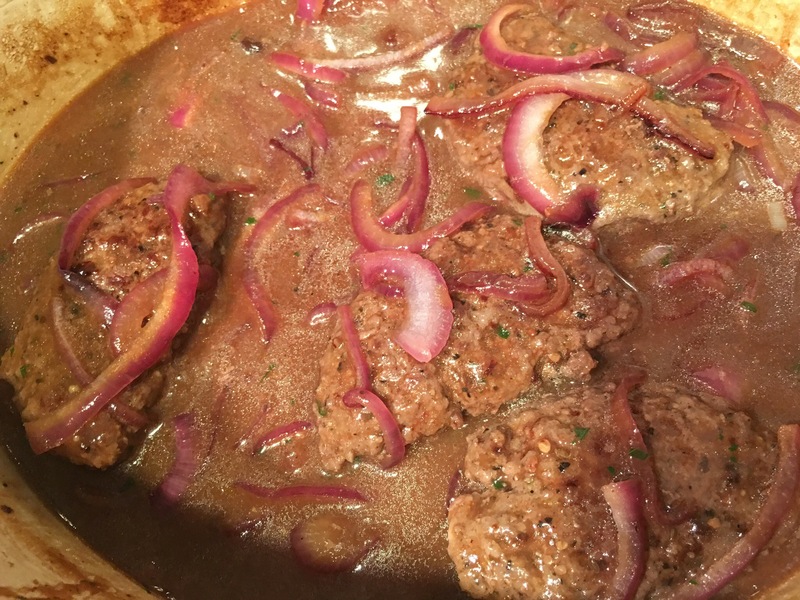 Calling all 80’s kids… make Salisbury steak tonight! – Hurried Home Chef! 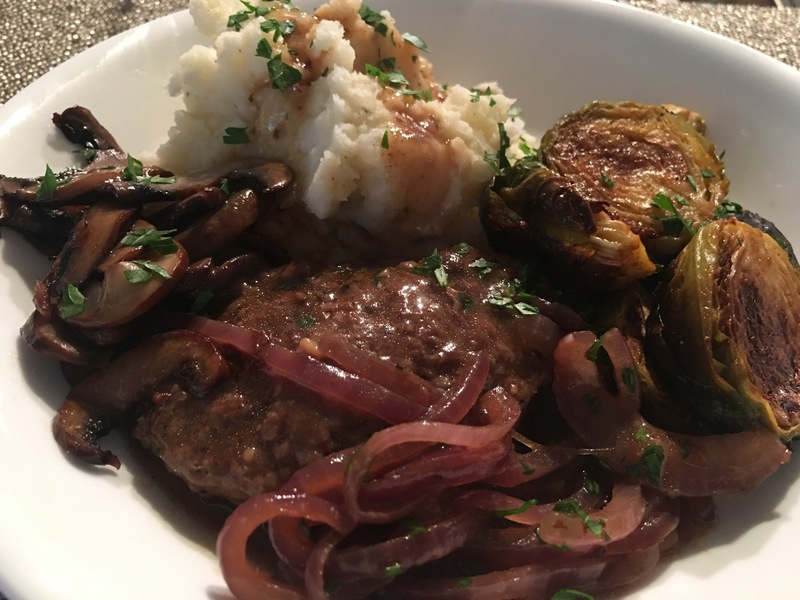 Calling all 80’s kids… make Salisbury steak tonight! TV dinners were still around when I was growing up and I have no idea why I like it still, but it is what it is. Salisbury steak is really just ground beef in a yummy brown sauce. I have upgraded it a bit and added onions and mushrooms. 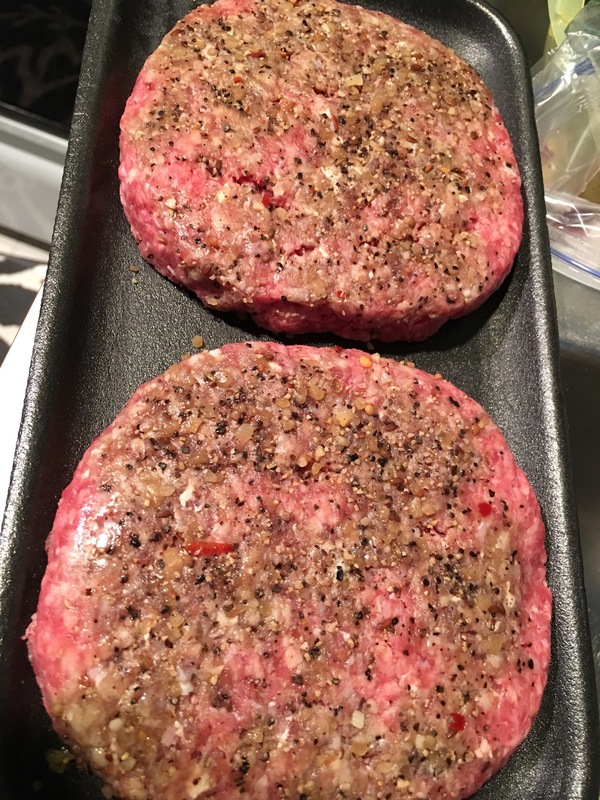 Start with ground beef and make patties about 1/4 pound per person. Season with salt, pepper, garlic powder, grated ordered finely chopped fresh onion, worcestershire, and hot pepper if you want. 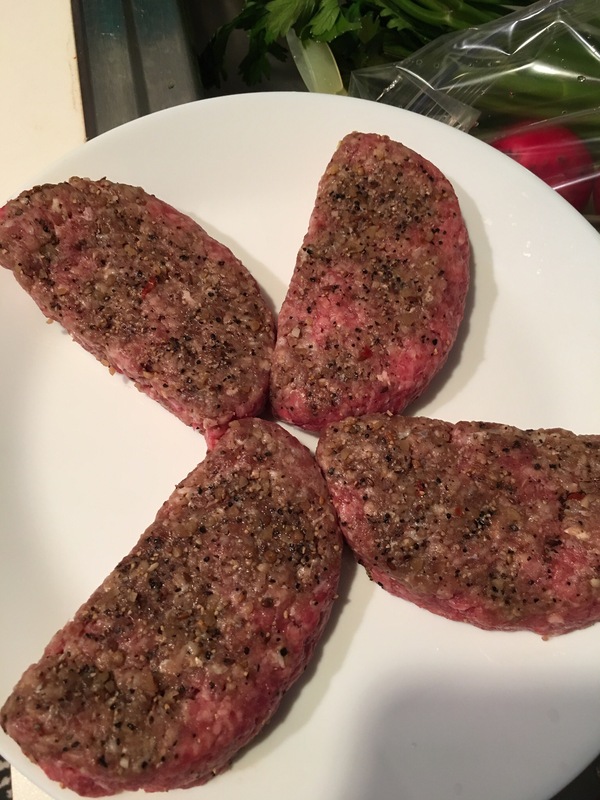 Or you can check out the prepared section and the burger patties cut in half will save you some time. 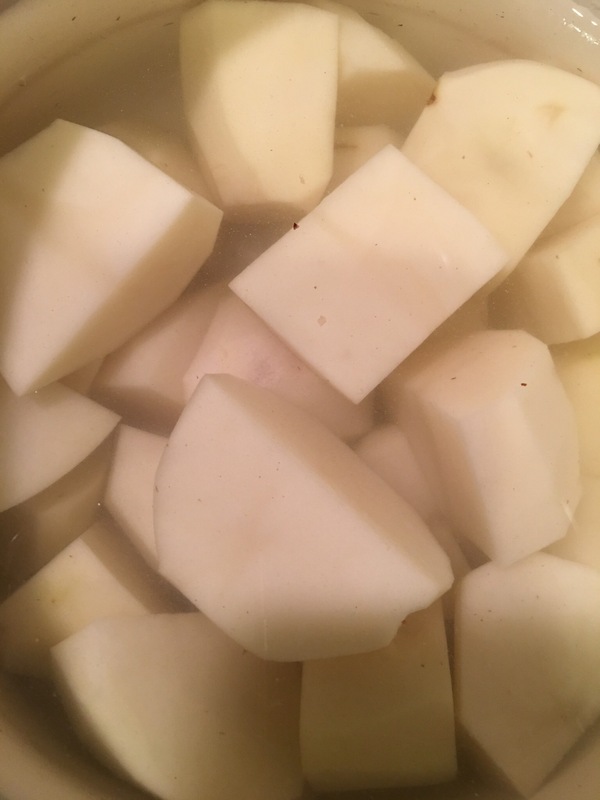 Before you even deal with the beef, peel and cut some potatoes, I usually do 1.5 per person, because everyone loves mashed potatoes. Put just enough water to cover them, and start them boiling with some salt and I add a bit of a frozen habanero for flavor. This step can be done early and as long as they are fully covered with water, they won’t brown. You can even do this the night before. 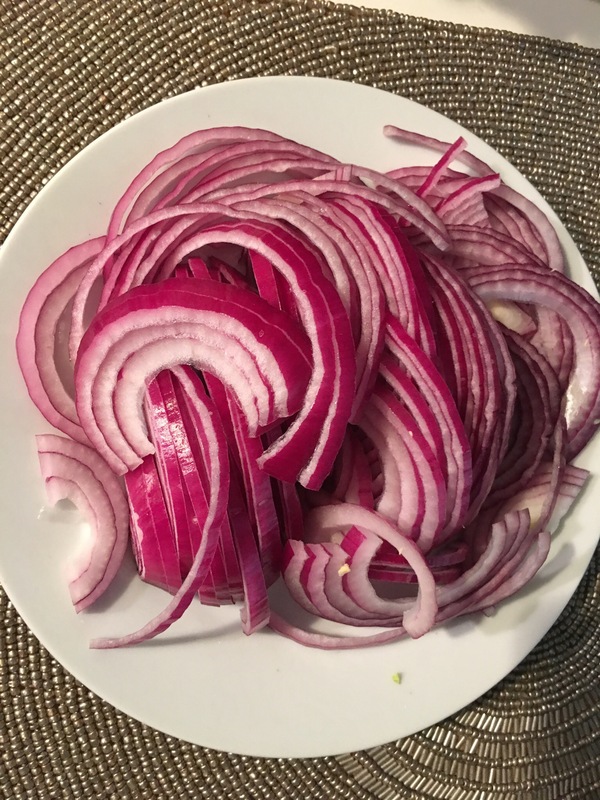 I enjoy onions, red onions are a bit more mellow. I cut them in half then a simple dice. 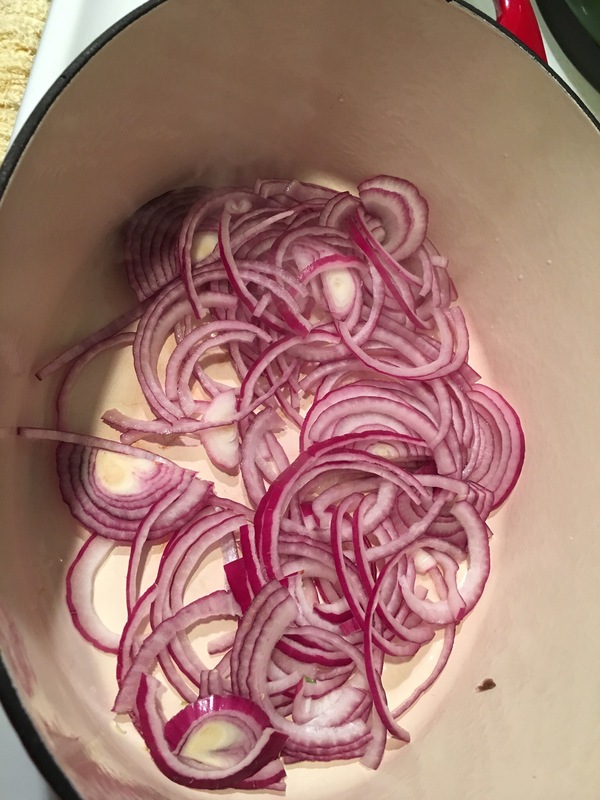 If you are cooking for kids, you may want to chop more and use white onions so they don’t see them as much. You can also use a can of french onion soup if that’s easier. 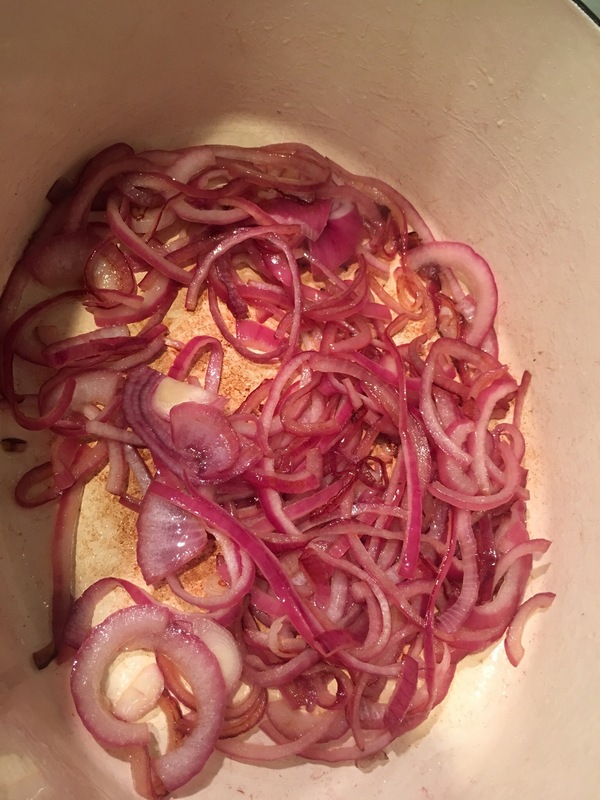 I cook in a Dutch oven, so on medium high heat, I sautéed the onions with a bit of oil. Keep beef stock or any stock, wine, or even water around in case it gets too hot and starts to stick. 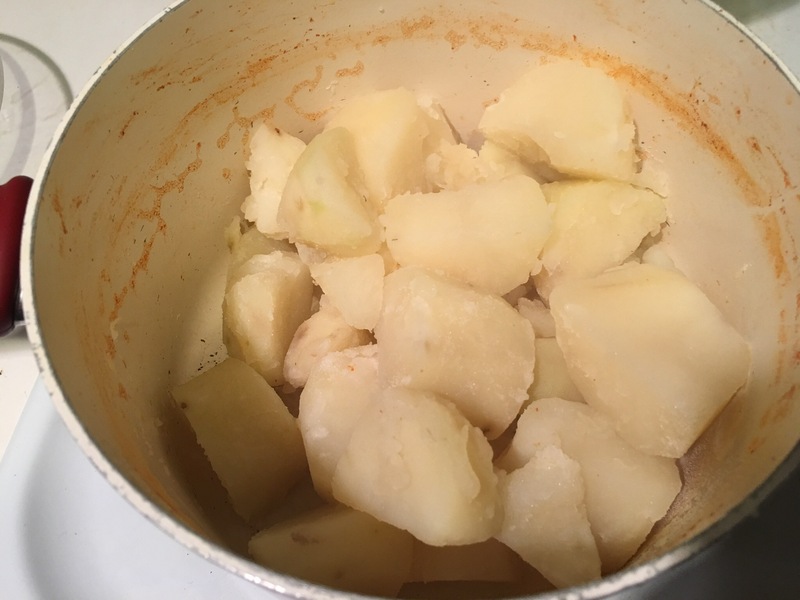 Meanwhile, drain the potatoes, put back into the pot onto the hot stove, add butter and either stock or milk/cream, however you like them. I use about 2 tbsp of garlic butter and 1/4 cup of half and half with a little stock and parsley. 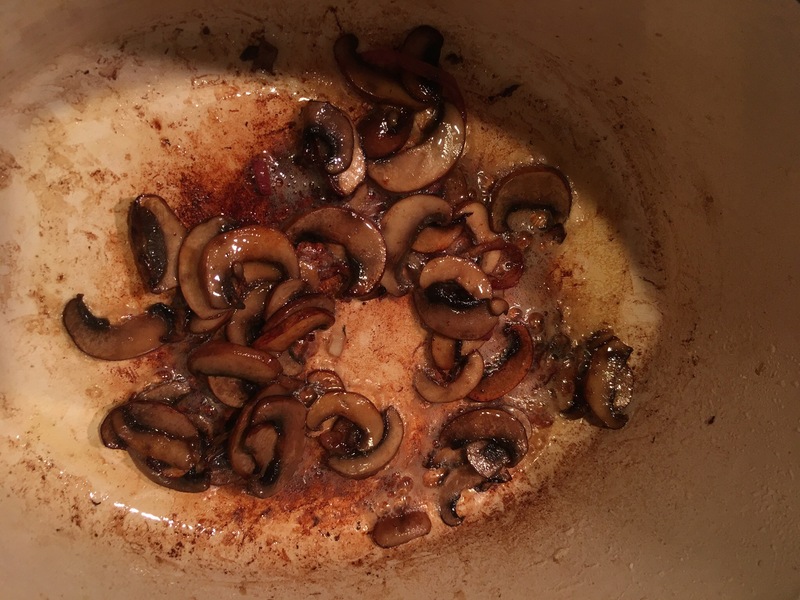 Once the onions are caramelized, remove them and if you are into mushrooms, put them in with a bit of butter. Sorry, got a bit steamy there. If things start to stick and you’re afraid they will burn, add a bit of stock or turn down the heat. I like to get a bit of crisp on these. 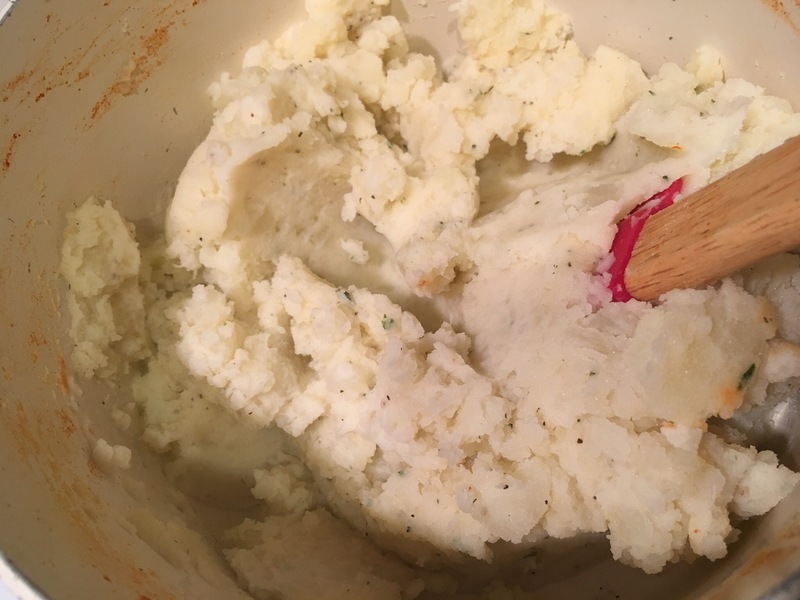 Mashed potatoes are done, keep them warm while you are still cooking. Once you get a good brown on these, remove them and set aside. I used porchini here but white button mushrooms would be fine too. 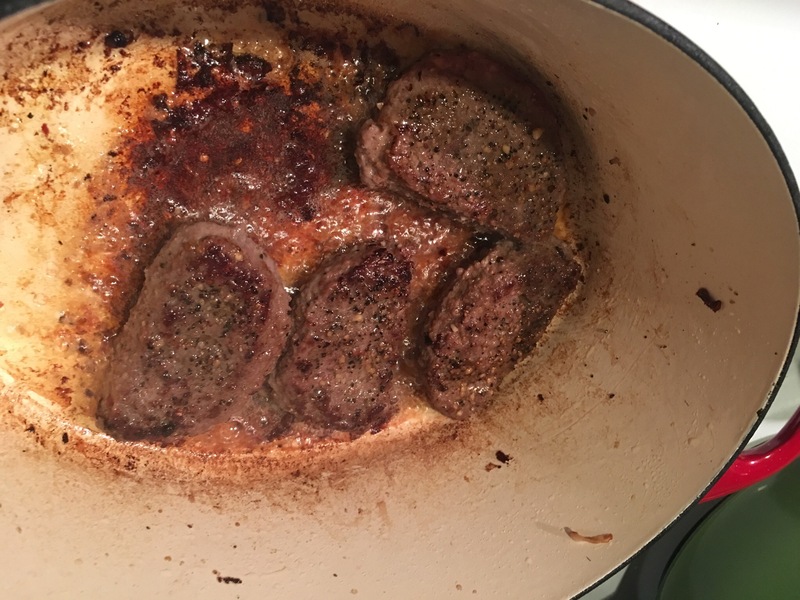 Then I add the beef, there was some butter still in the pan but you may need to add a little oil. 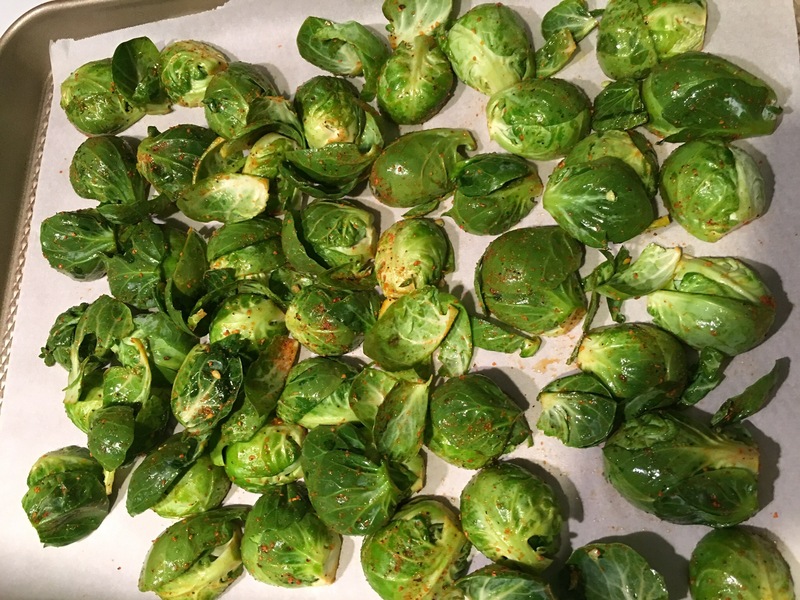 I had some brussel sprouts already going in the oven, cut in half, seasoned with salt, pepper, ground hot pepper and EVOO. At 350 for about 45 minutes, cut side down. Give these a flip and brown the other side. Now you can either do this from scratch or take a short cut. 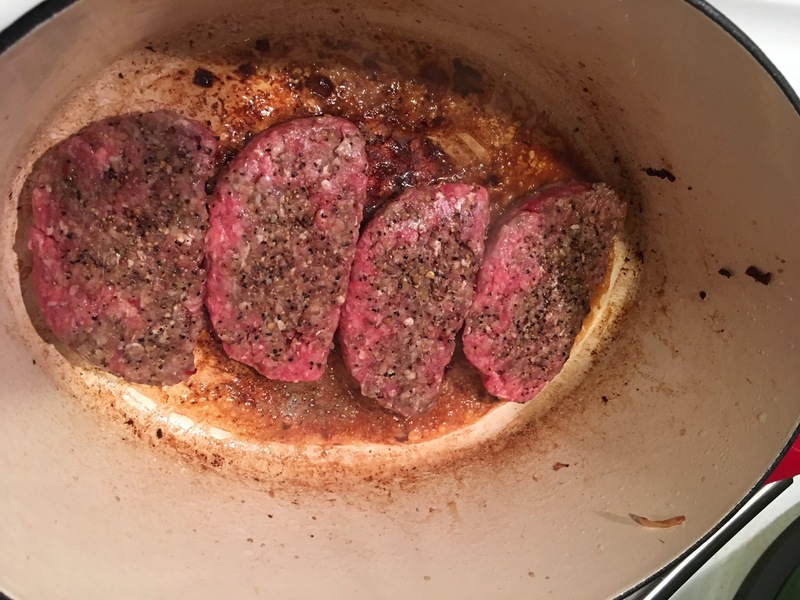 You can remove the beef, it will not be fully cooked yet, make a rue–about 2 tbsp of flour to 2 tbsp of fat. There may be enough in the pot without adding more, then add about 1.5-2 cups of beef stock or a can of beef or mushroom broth. A simpler way is to take a packet of onion gravy mix, dissolve in 1.5 cups of water or stock and add to pot with meat still inside. 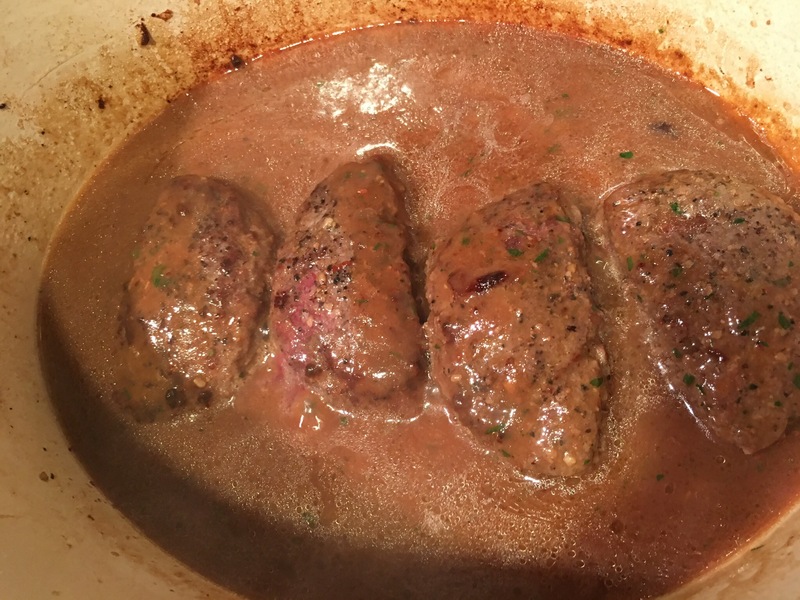 Turn down to medium and let the sauce thicken and the meat cook through. 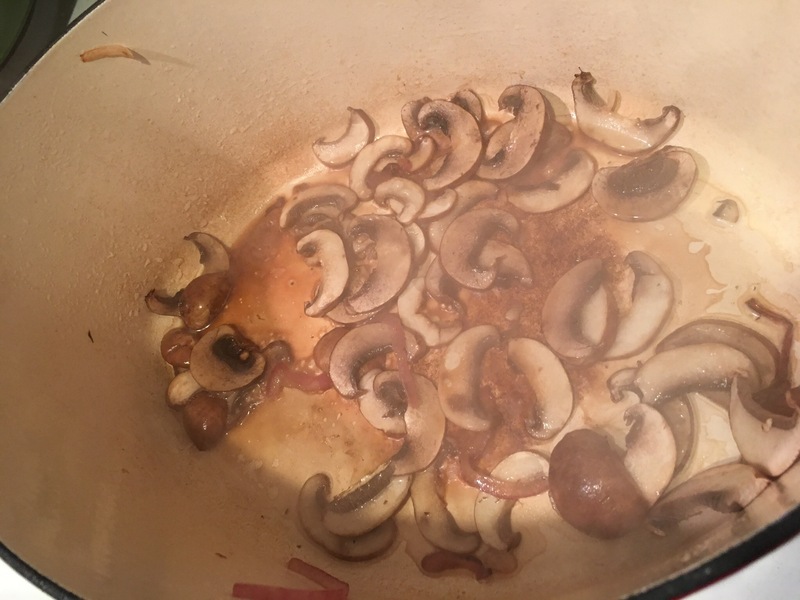 Return the onions and mushrooms to the pot, if you have picky eaters, you may want to keep them separate. Plate it up or serve family style and chow!